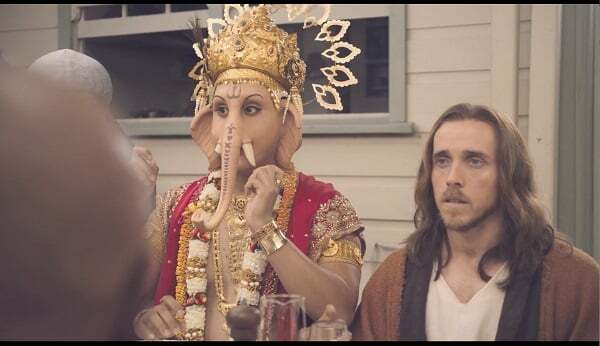 The now-infamous Meat and Livestock Australia (MLA) advertisement depicting Lord Ganesha once again proved the old marketing adage: there’s no such thing as bad publicity. The jury may be out on whether the outrage the ad triggered was by design or merely incidental, but the promotion did create controversy, which is just the fuel anything needs to go viral in today’s like-comment-share times. The ad fed off the conversation it generated. In coming out with an ad that was irreverent and flirting with boundaries of sensibilities as well as advertising ethics, MLA lived up to its reputation of ruffling more than a few feathers with its promotions. Cases in point: its ad in January that angered Indigenous communities, and another promotion last year that vegans had, er, beef with. Offensive or not, MLA has certainly lived up to its history of making ads that rub some sections of the society the wrong way. In January this year, its Australia Day lamb advert drew criticism from indigenous groups as it depicted indigenous actors ‘welcoming’ European settlers. Many groups said they were upset at the ‘whitewashing’ of Australia’s history in the ad. Before that, in January last year, vegans were up in arms with another of MLA’s advertisement, called Operation Boomerang, featuring newsreader Lee Lin Chin. It includes a scene where a SWAT-style operation is staged and a vegan is ‘rescued’ while his kale is blow-torched. Both the advertisements prompted complaints to the Advertising Standards Bureau, with the Operation Boomerang one being the third most complained about advertisement of all time, with 376 complaints. However, the ASB dismissed the complaints. “A depiction of torching of the vegan food is an exaggerated and humorous response to the food that is not lamb – a portrayal of the food being less preferable to the advertised product, and not inciting hatred towards people who are vegan,” the ASB had ruled. There is clearly a pattern here. After MLA’s latest ad came out, a large section of Indians were outraged at the depiction of Lord Ganesha in the film that promotes lamb meat, and the Advertising Standards Bureau (ASB), an independent industry watchdog, received a barrage of complaints about the ad: over 200 at the last count across the four mediums which this ad appears on: TV (137), internet (59), Facebook (19) and Pay TV (3). Complaints were also sent out to Victorian Equal Opportunity and Human Rights Commission. The ASB seems to have taken a long and hard look at the ad and deliberated on it for a few days. In the end, however, it ruled that, contrary to allegations that the ad vilified the Hindu religion and offended its practitioners, it promoted religious tolerance and inclusiveness. The advertisement did bring together the Indian-Australian community in Sydney and Melbourne and gave it a cause to fight for. To its credit, the community took the sensible and democratic route of approaching the industry umpire, launching an online petition, forming WhatsApp groups and discussing the issue threadbare on social media and in dinner conversations. Even after the ASB ruling, there was no kneejerk reaction. In fact, there was a growing sense within the community to move past the issue and get on with it. 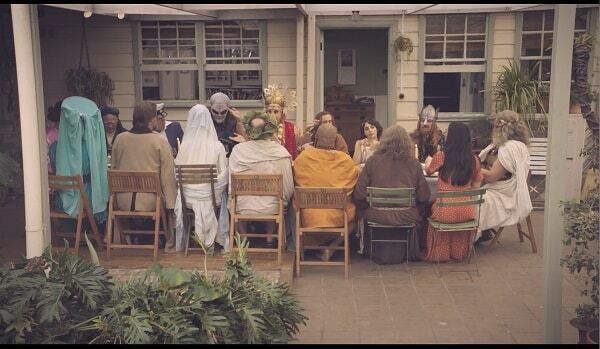 The tone of discussion in several social groups was that stretching it any further would prove to be counterproductive, and end up isolating the community, especially considering that there has been nary an angry voice from any of the other communities whose deities and religious icons have been shown in the ad. Of course, there are some who still want to fight it out. In online discussions, ideas are being thrown around as to what the next step should be. Suggestions include contacting the reviewers to appeal the decision and appointing a lawyer. A peaceful protest – peaceful being the operative word here – is also being planned in Sydney and other major cities. There are some who are saying they will give up eating lamb meat, at least for a while. Gurdeep Singh, President of Indian Australian Association of NSW, issued a bold statement. “A significant part of the community do not wish for this matter to be further aired in public for the reason that continued protest is actually giving boost to the ad itself, particularly when no other religious group is involved in the protest and are relaxed about the video. “There may still be an attempt from some quarters to rake up the dying issue through taking out protest march etc. 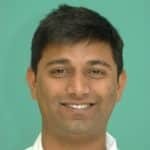 Any such activity is sheer politics, counterproductive and unnecessary under the prevailing situation,” Singh, who is the former Deputy Mayor of Hornsby Shire Council, said. On social media too, there were as many, if not more, shrugged shoulders as there were raised fists. Another commenter added, “I loved the advertisement for its concept and the fact that Ganesha was (adorable). I do not take it beyond the fact that this is an advert and is about driving a message which is for the Australian consumer. I will say, look at the larger point. 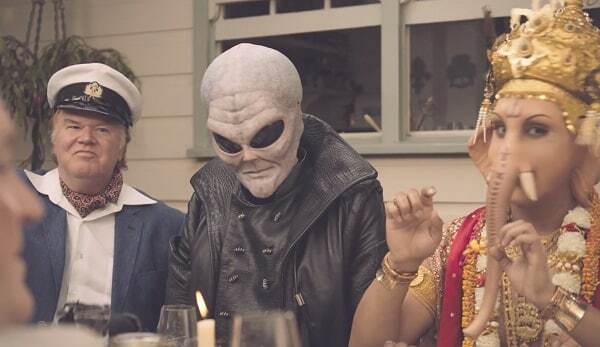 “Australian advertisements showing Indian god or Indian culture confirms that the country has accepted Indians as part of Aussie culture and way of life. The ASB, on its part, gave an elaborate and patient explanation as to why the advertisement should be viewed as offensive. “There is no express or implied connotation during the Advertisement that religion is not accepted or acceptable, or that the dietary requirements or preferences of any particular religion should not be respected – to the contrary, the overriding message of the Advertisement is religious tolerance and inclusiveness,” the ASB said. “There is nothing in the Advertisement that reveals inequity, bigotry, intolerance towards or unfair treatment of any religious group. All of the guests at the table are depicted poking fun at each other in a manner consistent with what a group of friends might do at a social gathering, with no particular person being treated more or less favourably than a person with another religious belief. In its explanation, it even went on to add that the actor playing Lord Ganesha in the advertisement was a practising Hindu man! After the complaints were dismissed, MLA sought to strike a conciliatory tone. While it did not mention the controversy surrounding Lord Ganesha directly, it addressed the issue obliquely. “There was never an intention to offend, rather we wanted to ensure that we were as inclusive as possible. To this end, those religions that don’t typically eat red meat are not shown consuming Lamb in the advertisement, but are still invited to the table,” MLA said in a statement. “MLA has received feedback from across the community regarding the Spring Lamb campaign, the majority of which has been positive. However some community members have registered concerns and we acknowledge and respect that feedback,” it said. “MLA develops all of its campaigns – including this latest Lamb campaign – with the positive intent of celebrating the diversity and inclusivity of Australia,” its statement said. The Indian High Commission, perhaps gauging the initial mood of outrage within the community, had also lodged an official diplomatic protest to three government departments – Foreign Affairs, Communications and Agriculture. But again, it did not escalate the issue or blow it out of proportion. Public representatives in Australia also conveyed the displeasure of Indian-Australians within their constituencies. 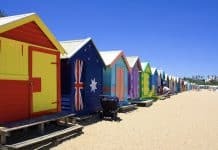 These included Federal parliamentarians Michael Sukkar, Zed Seselja, Julian Leeser, Michelle Rowland, David Feeney and Peter Khalil; Victorian MPs Robin Scott, Tim Pallas and Inga Peulich, and NSW MPs Ray Williams, Luke Foley, Jodi McKay and Julia Finn. If nothing else, this proved that Indian-Australians have come to become important constituents for our politicians. 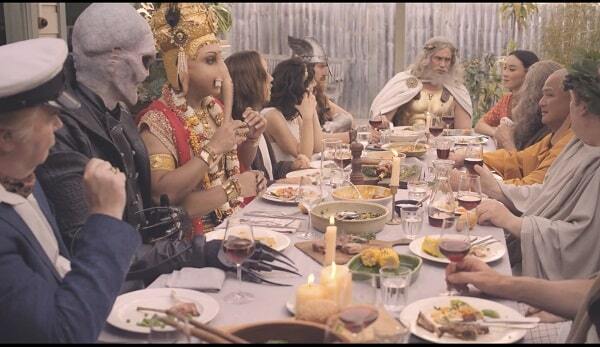 The ad was a second affront to a large number of Indian-Australians in quick succession. Earlier, on 15 August, SBS had posted a video in which the entire state of Jammu and Kashmir had been depicted as disputed. This had triggered an angry response from within the Indian community in Australia. Again, public representatives spoke about the issue or wrote to SBS to take corrective steps. In the end, the community could claim a moral victory when the SBS had to change the graphic to show a more accurate representation of Jammu and Kashmir’s disputed status on the Pakistani and Chinese fronts. 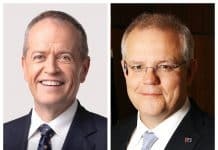 While the two incidents have proved that Indian-Australians may have found their voice in the mainstream public discourse, it also served as a reminder for the community to pick its battles and also similarly direct its energies towards other – and decidedly bigger – issues such as domestic violence and elder abuse. * I’m a Hindu and I see this commercial degrading our religion not just for me but millions of people who believe and have faith in this religion. 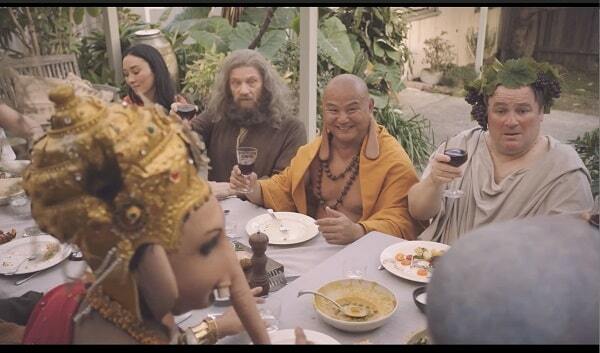 * Ad shows Hindu god Lord Ganesha eating/promoting meat and drinking wine. This is totally out of line and is insensitive, misleading and hurts religious sentiments of all people from Hindu background. Lord Ganesha is not a meat eater or drinker and god from any religion/culture should not be shown to promote a product. * Seeing someone like our Lord Ganesha being offered meat is highly offensive as it is considered a sin to offer meat to God. * This a crude and offensive ad in a great multicultural society like Australia which will strong implications in future ranging from kids to people of all age who are Hindus as they may be bullied and mocked by this ad. * It is hurting our religious sentiments by showing the Hindu god Ganesha as a Meat eater and also making fun of the Hindu god. It is very offending. * Lord Ganesha represents vegetarianism since he is a vegetarian. Most Hindus are vegetarians. * Lord Ganesha is highly respected in Hinduism and he was meant to be worshipped in temples or home shrines and not to be used in selling lamb meat for mercantile greed. * It is disgusting and shows a completely disrespectful attitude to all religious faithful in this country. * It wasn’t funny. It wasn’t warm. It was just blasphemy. The Advertising Standards Bureau has a huge workload of dealing with complaints related to advertisements. On average, it receives in excess of 5,000 complaints each year relating to ads. In 2014 the ASB received 5,735 complaints, in 2015 4,430 complaints and in 2016 5,529 complaints. That’s a whopping 15,694 complaints over the last three years. So far this year the ASB has received over 4,000 complaints. In general between 10-15% of advertisements which are considered by the Board have complaints upheld. ASB CEO Fiona Jolly said that the ASB takes every complaint it receives seriously and considers whether they raise issues under any of the Codes and Initiatives. “The Board reviews complaints about religious content in advertisements the same way they review any advertisement which raises issues under this section of the code. The Board considers the Code, including in this case the definitions of ‘discrimination’ and ‘vilification’ set out in the Practice Note to the Code, along with the advertisement, the complaints and the advertiser’s response,” Jolly said. 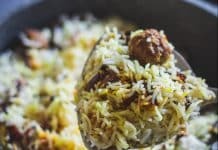 In Hindu community both vegetarians and nonvegetarians are there. Both vegetarians and nonvegetarians worship not only Ganesha but all gods and go to temples to worship. In Hindu communities also there are/were practice of offering of animals and birds to certain gods during festivities. Of course our Governament banned such offerings in public openings under the compassion to animals. Any way what these kind of advertisements should be objected under laws formed by the local Governments to uphold the community feelings. Even in India the mutton steals and Liqueur shops are being named after the relevant Gods and Prechers like Guru Raghavendra etc. Such naming of sensitive shops/ agencies to be banned by the local licensing authorities in India.